Summary: It was much needed second straight win for Mumbai Indians. With this they remain in the 5th position with 8 points whereas Kolkata Knight Riders remains in top 4 in the Points Table with 10 points. 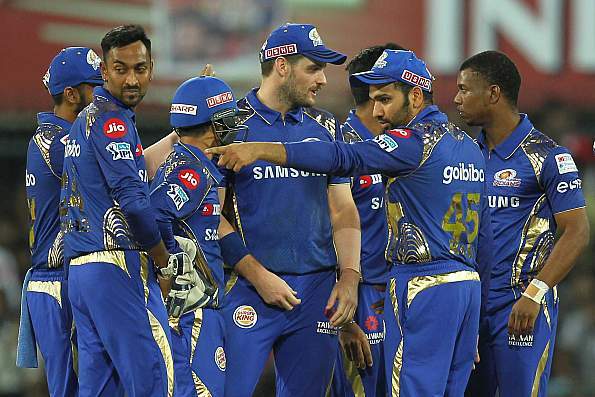 Mumbai Indians decided to bat first and its opener batsmen Suryakumar Yadav and Lewis contributed 91 runs partnership for the opening wicket. Yadav scored 59 off 39 balls whereas Lewis scored 43 off 28 balls. Hardik Pandya remained unbeaten at 35 off 20 balls. KKR’s Piyush Chawla turned out to be little expensive with 35 for 0 in 3 overs. Narine and Russel managed a couple of wickets each. While chasing a target of 182, KKR could manage just 168 for 6 in 20 overs. Uthapa and Rana scored 54 and 31 respectively. Despite KKR’s skipper Karthik remained unbeaten at 36, they could not pull off the match as Russel and Narine could not stay longer in the crease. Hardik Pandya bowled an excellent spell with 19 for 2 in 4 overs. Mumbai Indians opening batsmen Suryakumar Yadav and Lewis had set the tone for their team scoring 91 runs in 9.2 overs. With 59 runs, this was Yadav’s fourth fifty in the tournament. Before, Lewis was caught by Chris Lynn in 10th overs, it seemed that MI would end up scoring close to 200, however the scoring slowed down a bit with Rohit Sharma and Yadav going back to pavilion in 12th and 15th over. However, Hardik Pandya’s 35 runs off 20 balls helped Mumbai Indians finish off the innings with 181 runs. Andrew Russel took two important wickets of Yadav and Lewis and ended his spell excellently with 12 for 2 in 2 overs. Chasing a total of 182 runs, KKR lost its opening batman Chris Lynn and Shubham Gill in 3rd and 4th over respectively. However Rana and Uthapa’s partnership took the team score to 112 in 12.3 overs when Uthapa was caught by Cutting. Uthapa was also lucky to have been dropped much early by Mayank Markande. Uthapa scored 54 off 35 balls with the help of six 4s and three 6s. Rana also could not stay much longer and went back in the next over. KKR’s skipper Dinesh Karthik tried harder to be on the winning side but was not supported much by the next line of batsman Russel and Narine. Finally KKR could end up with 168 for 6 in 20 overs. 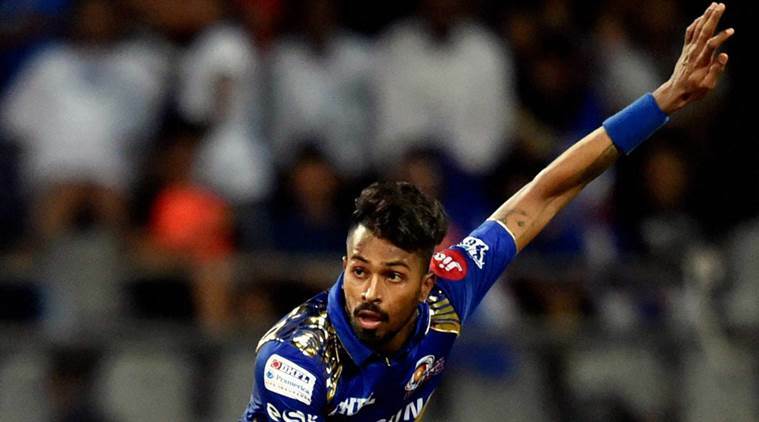 Hardik Pandya’s excellent batting towards the end along with superb bowling helped Mumbai Indians win this important match. Pandya was declared as the Player of the Match as well. Although the position of both the teams remains same after the end of this match, with KKR and MI remaining at 4th and 5th number, MI’s hope of making it to qualifiers is inching closer.